This Westridge gem is move-in ready and shows impeccably. The open concept floorplan offers great entertaining spaces. With three bedrooms and a flex/study space, thereâs plenty of square footage to utilize. This home has thoughtful updates, a modern feel, and is ready for move-in. The stunning double-sided fireplace is the focal point of the main floor! The kitchen offers an eat-in nook, stainless steel appliances and a pantry. All the bathrooms have been updated. Other recent updates include newer light fixtures, carpet, hot water heater and landscaping additions. The spacious master suite has an on suite bathroom with dual vanities and walk-in closet. The finished basement could be used as a study, rec room or bedroom. The low-Maintenance yard features turf grass, a deck and fire pit area. 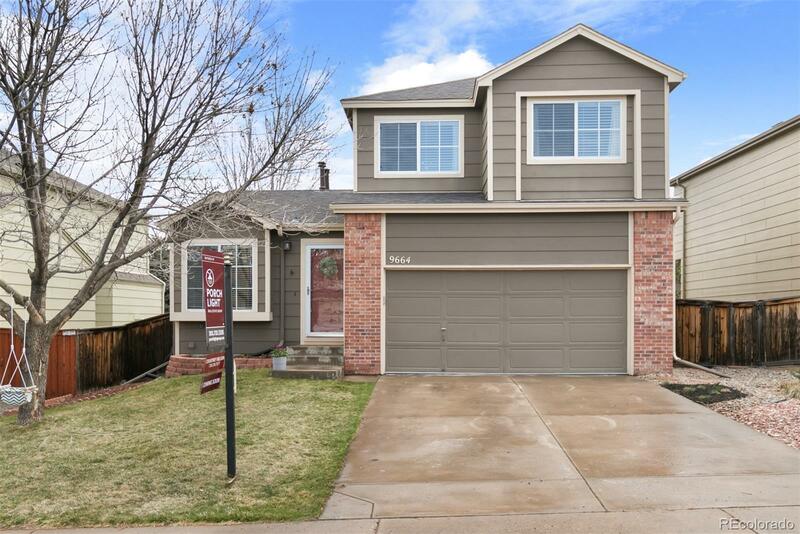 Enjoy Highlands Ranch amazing year round amenities~ just two streets away is Westridge Rec Center, Marcy Park and access to endless trails. One year First American home warranty offered.